The main advantage of this partnership is Zerynth’s support for Bridgetek’s graphics processors – the BT81x family. IoT developers can now take advantage of the powerful BT81x graphics controllers and build complex and modern user interfaces in simple Python thanks to Zerynth. Bridgetek BT81x series of Embedded Video Engines (EVE) utilizes an object-oriented methodology for creating hi-quality human-machine interfaces (HMIs). With support for display, audio, and touch, this new technology allows engineers to quickly and efficiently design HMIs and deliver robust solutions, hi-resolution displays with a lower bill of material costs. The Zerynth library also supports the famous EVE displays from Riverdi, also our partners. So, the newest generation of these displays, the EVE3 modules, offers a range of improvements and features suitable for the IoT. The simplicity which the Zerynth toolset adds to this combination is another great advantage. Programming a display solution in a few lines on Python, that’s something that hasn’t been seen before. You’ll see what we mean by this, once we share future examples and tutorials with the Riverdi EVE3 display modules. Quick and easy how-to guides that will lead you through the whole process. So, stay tuned. 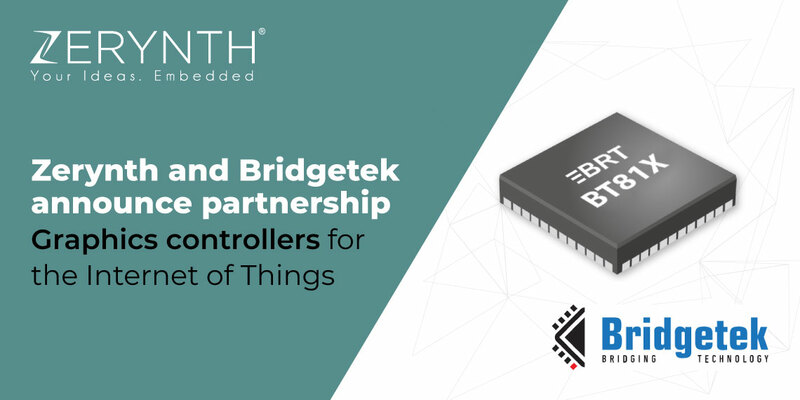 Bridgetek is a semiconductor company focused on providing high-performance microcontroller units, display IC products and developing innovative silicon solutions. They are renowned for their Human Machine Interface (HMI) display series of chips, namely Embedded Video Engine (EVE) graphics controllers. Bridgetek’s headquarters are located in Singapore.